How do I order from eyeglass.com? We get asked this every day. At Eyeglass.com. it is easy to order new frames, lenses and accessories. Just choose a frame, pick lenses and check out! No problem! You may order up to three frames at a time. We will ship your eyeglass frames so you may try them on in the comfort of your own home. After you choose the frame you like, simply return them along with a copy of your current eyeglass prescription and will will make you custom prescription lenses. Eyeglasses are measured in millimeters. The sizes are written like this: 52-18-145 b:35. The first number (52) is the width of each lens opening, not including frame material. This dimension is also called the "Eye Size". The middle number (18) is the distance across the nose bridge on the eyeglass frame. This is also refered to as the DBL, distance between lenses. The last number (145) is the length of the eyeglass temple, the part that goes back behind your ear. It is meaured from the end near the hinge to the very end following the curve. The "B" measurement (35) is the height of each lens opening. 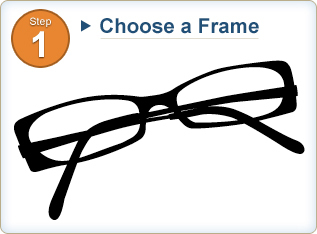 At Eyeglass.com, you may narrow your frame options by eye size. You may do this on the left side of your screen as you look at a fame collection. Small: Frames with an Eye Size of 44mm or smaller. Medium: Frames with an Eye Size of 45mm- 51mm. Large: Frames with an Eye Size of 52mm-59mm. XL: Frames with an Eye Size of 60mm and larger. Is it possible to buy just the frame? Yes! 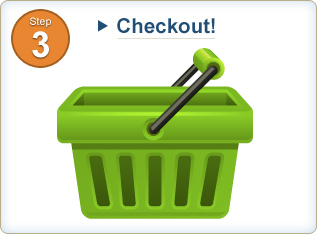 After choosing your color and size options, click on "Checkout with Frames Only." Is it possible to buy new lenses for my current frame? How do I order real Glass Lenses? We offer glass lenses as an option on check out. Just choose glass as the option. Glass lenses can take 30 plus business days to process. How do I order Lined Bifocal or Trifocal Lenses? 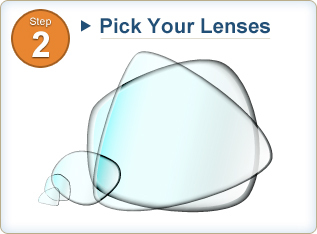 If you are wanting top order lined bifocal or trifocals lenses - please just choose that option when checking out. How do I give you my Eyeglass Prescription? Snap a photo of it with your smart phone and text it to 941-780-8463. Florida Law requires us to have a copy of your RX on file fro verification purposes. So if you are adding your RX to the order - please still email or text us a copy. If the name on the Rx is different than the name on the order, please be sure to give us your order number so we may pair it with your order. Pupillary Distance (PD) is the distance between the centers of the pupils in each eye, usually measured in millimeters. This measurement tells us how to align your prescription lenses so you can see correctly. This measurement is necessary for all custom lenses except for standard reading lenses. There are two ways to determine your PD. Call your eye doctor or the maker of your current eyeglasses. Your PD should be in your file and as long as you've stopped growing, it will not have changed. This is your more accurate option. You may measure your PD yourself, with a little help from a friend. Grab a friend or loved one and a ruler. Place the ruler on the bridge of your nose. While you look directly forward, have your friend measure the space from the center of one pupil to the center of the other pupil. Easy! What if I don't like the frame? Again, no problem! You have thirty (30) days in which to return or exchange your frame. Please note that custom lenses and/or sun clips are non-refundable. So if you're not sure of the frame, we recommend you try it on first before adding lenses. Ship your return to Eyeglass.com, 14650 Mossy Hammock Lane , Myakka City FL 34251 Please include a copy of your original receipt and write on it that you are returning the item for a refund. Refunds are made in the order they are received. It takes 30 to 60 days to receive a refund. You will receive an email confirmation once your credit has been issued. Depending on your banking institution, credits may take several days to post to your account. Please contact your bank for further information. Please note, credits are not issued for shipping fees. How do I exchange my frame? Ship your order to Eyeglass.com, 14650 Msoy Hammock Lane, Myakka City FL 34251. Please include a copy of your original receipt and write on it what you would like in exchange. If there is a price difference, we will either refund or bill you the difference when your new item ships. Exchanges will be shipped via USPS 1st Class Mail for $4, unless otherwise specified.